The truth can be an elusive thing. Determining the truth can often be problematic even when there may be audiovisual evidence of what happened. Four cameras covered the slide of the runner as the third baseman took the throw and swung his mitt to touch the advancing runner. The umpire was carefully positioned and observed the play, calling the runner out. The manager protested the call, and the umpires gathered to review the video evidence of the play. While the play was clearly close, after attempting to tag the runner out, the third baseman pursued the runner, reinitiating the tag when he reached third base. Immediately, the announcers raised questions suggesting the third baseman had actually missed the tag. Depending on the camera angle, there was no independent verification that the umpire had blown the call. The end result? The base runner was out as the play was called. Sometimes the truth can be altered because of the position of the observer. In this case, the third-base umpire was in the best position to closely examine whether or not the third baseman actually made contact with the runner. Fans who were biased for the runner argued the third baseman’s actions after the attempted tag showed that he believed he had missed touching the runner. So the truth can change as a result of biases, assumptions, position, or other qualifiers, which might shade even the truthful witness’s testimony. Many times, the guilty individual will intentionally shade the truth in an attempt to salvage his self-image or to reduce the seriousness of what he has done. During employee investigation procedures, it is often difficult to know with absolute certainty what the real truth might be. Instead, the investigator has to use the physical evidence, witness testimony, or other information to piece together what is the most likely series of events. Since it can be difficult to tell when people are lying, shading the truth, fabricating events, or just omitting details that may incriminate them, the investigator can use what evidence is available to evaluate the stories, sequence of events, or alibis of the main players. If the individual was aware of all the information available to the investigator, he could begin to alter his story to match the evidence uncovered during the investigation. However, when the investigator withholds the evidence and allows the individual to tell his story, the evidence can help determine the veracity of the individual. One common problem during conversations with those suspected of wrongdoing is that the investigator contaminates a confession by talking about evidence, alluding to evidence, or using leading questions that infer the correct answer. If one was to use an assumptive question relating directly to the refund, you have indirectly told the subject what is most likely known and where his exposure in the investigation lies. This question may also infer that the investigator does not know about any other forms of cash thefts the employee has participated in. This results in the employee making fewer admissions because he doesn’t believe the investigator knows about the other areas of theft. Instead, the investigator might have used an assumptive question: “What is the most amount of money that you took from the company in the last year?” This question addresses a broad area of the investigation, which has revealed the dishonest employee stole money but not the method used to do so. The employee may now offer an admission to taking money right out of the register or voiding sales leaving the investigator with his knowledge of the individual using fraudulent refunds to steal cash. The investigator now knows in absolute terms that the employee is lying by omission, and there is additional development of the admission to be done. In any interview where the individual confirms facts that were not related to him by the investigator, it helps substantiate that the subject is giving a truthful confession. Read the full article, “Random Lessons from the Room: Part One,” for more tips on identifying problematic interview strategies and indicators of theft activity. The original article was published in 2017; this excerpt was updated November 27, 2018. 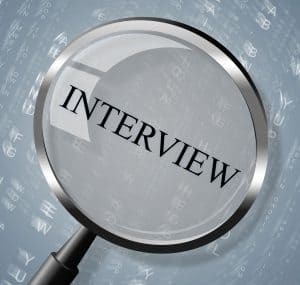 Interview and Interrogation Training: What Is a Participatory Interview?